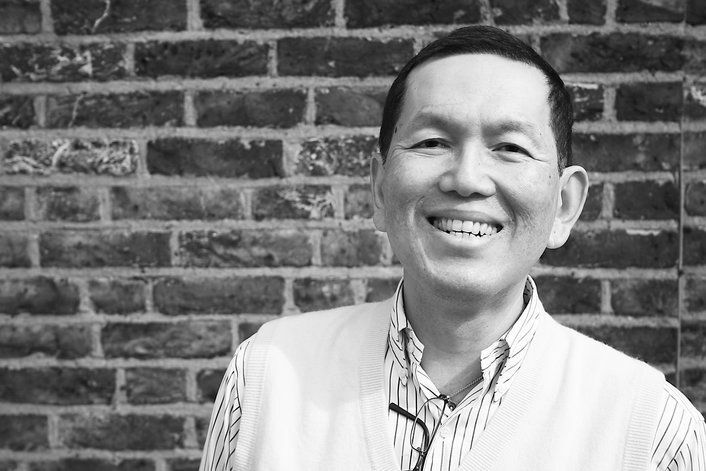 The Luxury Cruise Company specialist Tim Tan embarks on a once-in-a lifetime cruise with Silversea Expeditions. Standing on the bridge of Silver Explorer with Tierra del Fuego at my back, it was a 400-mile straight line to the Falkland Islands. The anticipation had been building since we’d left Ushuaia the day before. This was, after all, a voyage to Antarctica, the only continent yet to be colonised by man. Accessible only from November to March, this frozen land at the end of the world is owned by no one and visited by few – the ultimate wilderness, where emptiness and solitude reign supreme. Not that I was alone at the time. With me on the bridge were the expedition team from Silversea Expeditions – expert naturalists and polar historians there to give talks, to point out the wildlife and to lead our excursions on land and in zodiacs (dinghies). Then there were the guests, a mere 121 in total, looked after impeccably by a crew of 122, several of whom I already knew from previous cruises with Silversea. Nor were we alone when we first reached land in the Falkland Islands. Thousands of birds, both black-browed albatross and rockhopper penguins, huddled together on the rocks of New Island, preening, grooming and basking in the sunshine. The blue skies held as we crossed to West Point, accompanied by dolphins playing in our bow waves. 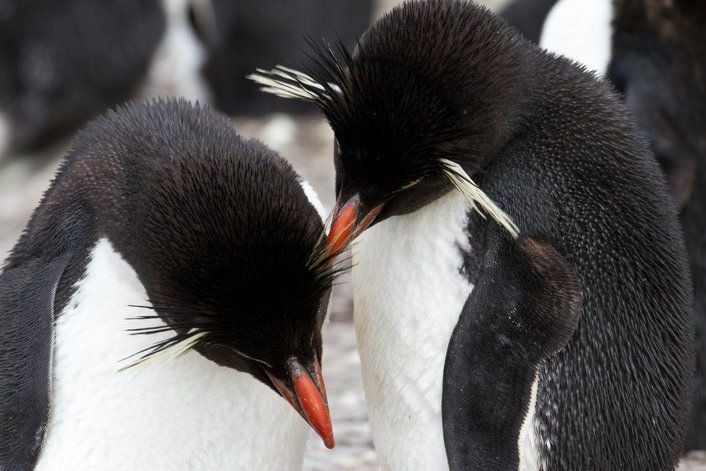 Like many locations in the Falkland Islands, West Point had been a site for slaughtering seals and penguins in the early 19th century, reducing populations to a paltry few. The saving grace came in the 1860s when the island was established as a farm. All is now forgiven so it seems by the penguins, who posed for our cameras without the slightest sign of panic. Of course sealing and whaling is not the only bloodshed to have been witnessed in the Falklands. Our final stop was at Port Stanley, the colourful seaside capital, from where a guided tour took in the battlefield sites of the 1982 conflict. It was a fascinating insight and sensitively handled, leaving plenty to ponder as we left the Falklands and set sail for South Georgia. Two days adrift in the great Southern Ocean. Cabin fever. Boredom. Seasickness. None of these things ever once crossed our minds. Champagne on deck under clear, sunny skies, gourmet cuisine and expert lectures on the wildlife, weather and history of Antarctica kept us constantly entertained. But the greatest thrills were the cries that went up when wildlife was spotted. 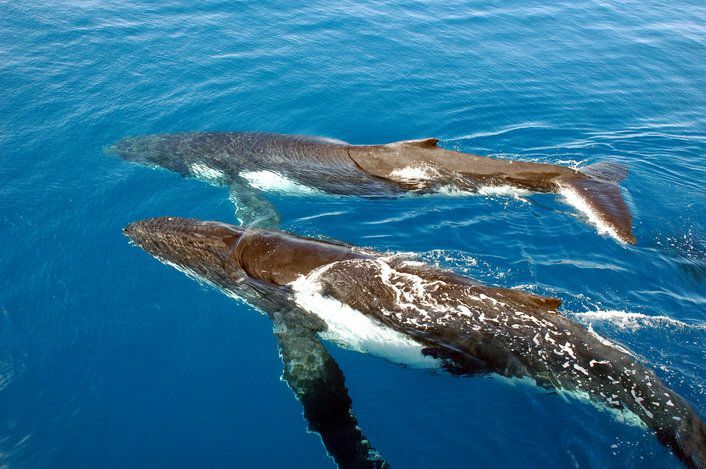 Fin whales and humpbacks made several appearances, the former gliding by like stealthy U-boats, the latter leaping from the water so close to the ship we could make out the barnacles latched to their heads. In the skies above, blue petrels came to greet us from their nests on South Georgia, while wandering albatross tipped their wings like a walker on a tightrope. All this, however, was merely a taste of the wildlife to come. Landing by zodiac at Salisbury Plain, we found ourselves standing among the second-largest colony of king penguins in the world. Among the 60,000 mating pairs that thronged along the shoreline were hundreds of fur and elephant seals, lolling on the beach in a soup of algae, snorting and bellowing in their efforts to mate. It was a wildlife spectacle on a scale I’d never seen, framed by snowy mountains and plains that stretched inland towards the rusting remnants of old whaling stations and the final resting place of a certain Ernest Shackleton. We paid our respects to the great polar explorer the following day, raising a glass to the man they call ‘The Boss’ by his grave at Grytviken. Of the three expeditions Shackleton led to Antarctica, his Imperial Trans-Antarctic Expedition of 1914–17 is what sealed his reputation as a British hero. Although the expedition failed when his ship Endurance got trapped in pack ice, he successfully led his men to the relative safety of Elephant Island. Despite being the first time he and his crew had stood on solid ground for 497 days, Shackleton knew rescue was highly unlikely if they stayed on the island. Leaving 22 men behind, he chose five companions and set out in a lifeboat to reach help on South Georgia, 800 nautical miles away. Miraculously he made it, and the rescue that followed saw the safe evacuation of all of his men from Elephant Island, having been isolated there for four and a half months. So it was with some excitement that two days after leaving South Georgia we too anchored off Elephant Island. Conditions could not have been more different to those faced by the crew of the Endurance. Brilliant sunshine lit towering icebergs in cyan blue and aquamarine. Many had been whipped by the wind and water into fabulous shapes – a Mughal fortress, a Gaudi tower, an Ottoman mosque. And as we skimmed the glassy water in our zodiac boat, we watched chinstrap penguins marching in line along the snow-laden shoreline. Finally we reached the Antarctic Peninsula, a spectacular range of jagged mountains draped in glaciers that extends from the continent like a beckoning arm. At Hope Bay we met the 65 inhabitants of the research centre Esperanza, a year-round community with a school, chapel, museum and supermarket. Another landing at Brown Bluff saw us creep in close to adélie penguins guarding their eggs. And in the Weddell Sea, Captain Boczek tested Silver Explorer’s specially strengthened hull as he crashed through the sea ice to offer us the rare chance of walking on the ice sheet. One animal, however, had so far eluded us. 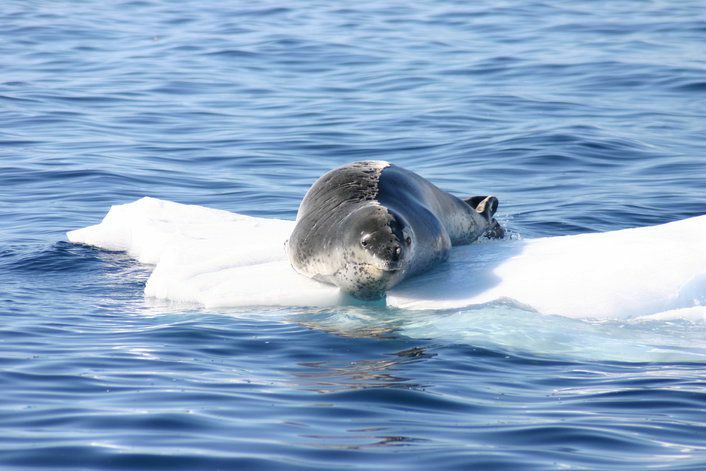 The leopard seal is second only to the killer whale among the predators of Antarctica. So it was with a mixture of fear and excitement that we watched a pair of them approaching a rookery of penguins. Seemingly oblivious, the gentoos around us were in a playful mood, jumping off rocks and darting around the bay. The seals swam closer, hugging the shoreline as if trying to choose a target. It was over in a flash; one burst of speed prompting another. 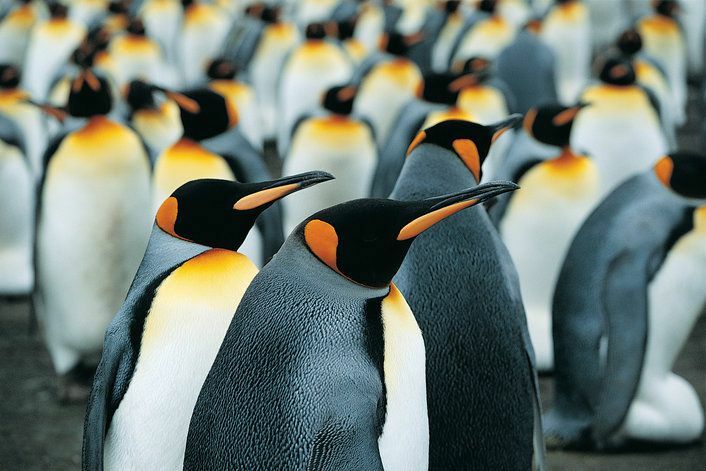 The penguins scattered, the seals were left wanting and slipped into the sea. The time had come for us to leave too, to cross the Drake Passage and return to Ushuaia. 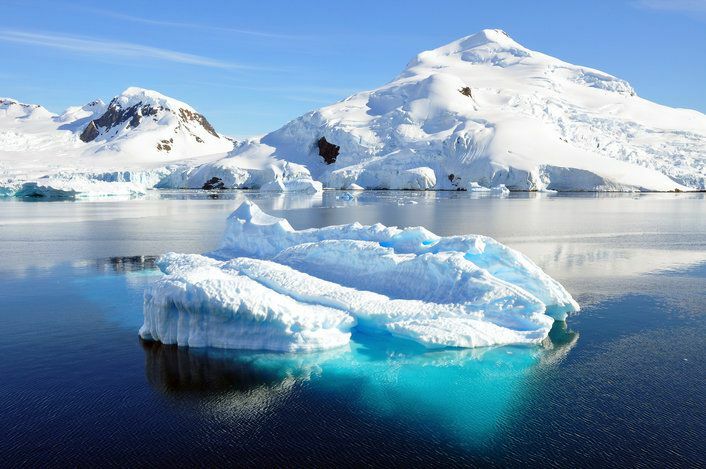 There’s no denying that the cost of an Antarctic expedition cruise is a serious commitment. But as I sat on deck with the new friends I’d made, reliving the many highlights of the last 15 days, there wasn’t one among us who didn’t swear it had all been worth it. To speak to Tim about this cruise or other luxury and expedition cruises, call him directly on 020 7838 5946 or email him at tim.tan@theluxurycruisecompany.com.